Grab a fat quarter bundle! The Spinning 4-Patch Quilt Pattern is created with 20 coordinating fat quarter fabrics and Nancy’s quick strip-piecing methods. We think you’ll enjoy the results when you finish the Spinning 4-Patch Quilt. The quilt design features yardage from Nancy’s new fabric line, Farmhouse Florals by Penny Rose Fabrics, a division of Riley Blake Designs. Make the quilt using Farmhouse Florals or sew the design in your favorite light, medium, and dark fabric values. Nancy’s Notions is offering a Spinning 4-Patch Kit. By following the pattern’s instructions to measure and cut assorted strips, the construction of this quilt is a breeze! Simply mix-up and join strips using a 1/4″ seam allowance. Next, subcut the strip sets to create the number of units required. Since we are using the entire strip, a portion is built-in to later create a scrappy border. Once you have the required units, build a variety of unique three-fabric quilt blocks. It really is that fast. Add sashing, cornerstones, and scrappy borders to finish your new Spinning 4-Patch Quilt. When you finish your quilt, send a picture to [email protected] to share it with Team Nancy Zieman and friends. Watch Nancy Zieman demonstrate another version of the Spinning 4-Patch quilt on Change-Up Patchwork on Sewing With Nancy online. Content in this feed is © copyright 2018 by Nancy Zieman Productions, LLC and may not be republished without written permission. You’re welcome to forward the email to a friend or colleague but it’s not okay to add the RSS feed automatically as content on a blog or other website. The FTC requires us to tell you that Nancy Zieman Productions, LLC has provided products by other companies in the course of doing business. The FTC requires us to advise you to take this information into consideration when reading this posting. I like all of the quilt patterns. The spinning 4 patch would be my 1st choice. This fabric makes me think of my grandmothers quilts and even some of her summer dresses, it this print of fabric that bring good memories to life again. I never knew there could be so many variations on a 9 patch block. I love the fabric, it reminds me of spring and summer! I would love using the colorful fabric !!!! so spring,a breath of fresh air ,just when needed . Would love to create this fresh look for my guest room. THank you for chance to win .Thoughts to all who am certain miss Nancy each and every day . mom made for me as a young school girl. We needed to wear skirts and dresses to school back then. Having a quilt to remind me of my mom would be great. I love the pattern too. Absolutely have to make this. My favorite colors and prints. Must make this pattern. And would love to use these fabrics! Love this fabric line…the Farmhouse Florals collection speaks to me as if from somewhere in my childhood. Winning this bundle would be so sweet! Spinning wheels or pinwheels — they have always been my favorites. Love the fresh prints from the Farmhouse Floral collection. What lovely fabric! Very inspiring, any one else want to run to their sewing area and get at it?! Recently retired and will be starting on my first quilt that I have so looked forward to making. What beautiful fabric this would be to use with my project Nancy is truly missed. I enjoy Nancy’s tutorials and miss her. God blessed her with many talents! The fabrics that were chosen for this quilt are beautiful! Hello, I just love the new line of fabrics,so very Bright & cherrie. I still miss you nancy,not a day that goes by, That I don’t think of you.I hope your enjoying your wings. May God Bless you. Love the Farmhouse Florals fabric and the Spinning 4-patch is an interesting pattern to make with these fabrics. I love making quilts with fat quarters, & this fabric is beautiful! What a lovely collection! Floral fabrics are my favorite for spring quilting projects. Thanks for the great giveaway. I like the simplicity of the design but yet is very pretty. What a subtle, classic variation on the common four patch! Love the light florals with geometrics mix too! This reminds me of a quilt my Grandmother made for me. I can’t wait to try it as my first quilt. Beautiful spring flowers is such a welcomed sight after such a dreary winter. I would love to make this quilt to break out of the winter doldrums. I would love to win this kit. Love the fabric. Nancy is truly missed. Her team is doing a great job keeping her memory alive. These beautiful floral prints would make my stash complete! Such beautiful fabric like the woman who designed them! Love the colors! These are such cute floral prints and I love the pattern! I would love to win this book and fabric. Nancy always made everything seem so easy with her great tutorials. I love floral prints and farmhouse florals is no exception. I would enjoy making the Spinning 4-Patch Quilt with this beautiful collection. Thank you for the opportunity to win both! I love this fabric line! And the pattern is a fun way to make four patches. I’d love to win this give away! Thank you for offering such a beautiful bundle. It would be so fun to create a quilt using it. This is a perfect pattern & prints for my granddaughter who is just learning to sew quilts. Thank you for the chance to win. I love Nancy’s blog and am sooo happy that you, her team, continue the great work and traditions she established. The patterns are always simple, yet stunning when put together. I loved Nancy’s first ever fabric line and the Farmer’s daughter line is a close second with it’s beautiful florals and colors. Kudos to you and keep up the great work! 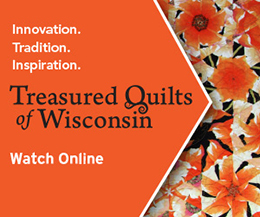 It is appreciated greatly by the quilting community! I’d love to sew this lovely quilt!! I love this material and would really love to win the fabric and the pattern. Such a cute pattern. I have been using the spinning 4 patch for some time….really makes a difference. Love the new line of fabric. Looks like a fun quilt. And the fabrics are perfect for it. Beautiful fabric. Makes me think Spring must be just around the corner. I love the vibrant color choices in this fabric line. The florals are right up my alley. It reminds me of spring time. Love the beautiful array of prints. I don’t think I’ve ever made a block like this before; so it is something new for me to try. These fabrics have such balance and warmth. Just like Nancy, this pattern puts a unique spin on things. A quilt from these fabrics would be a lovely gift for someone special! Love, love, love these farmhouse florals! I would love even more to win a bundle of fat quarters of them! So what are you waiting for? Pick me! Pick me! I just love these farmhouse florals and why not have a new pattern to go with it. I can always find some one to make a quilt for. Love all the florals! A quilt out of those would make a certain granddaughter very happy!! What a wonderful way to honor Nancy using her beautiful floral farmhouse fabrics. I have become an accomplished sewer and I owe it to Nancy and her skillfully produced videos! Thank you for continuing her legacy. Love the fabric and would like to have it! Thanks for a great giveaway. The fabrics are so cute! Im working on the block of the month right now but would love to do this quilt too! Farmhouse Florals is just beautiful. The colors of the fabric is awesome. I love these Farmhouse Florals. The fabric is so beautiful. I love these fabrics – so soft and pretty. And I always like patterns that use a new “twist” on a traditional block, such as the 4-patch. I’ve always loved florals and those in the Farmhouse Floral collection are especially beautiful. The combinations of fabrics make a stunning quilt that anyone would be proud to make and show. I love these prints, and the pattern is really cute. I can actually see making this pattern more than once! I would love to win this bundle. It would make a beautiful quilt. The pattern is Tempting to this beginner and the fabric line is a beautiful blend of color and design. What a wonderful gift! These fabrics are so beautiful and I appreciate the chance to win. Thank you. What a lovely selection of fabrics. This would make a pretty quilt. When you need some healing, a beautiful bundle of fabric and a sweet pattern helps. I am a brand new quilter that has a hard time with colors. This pattern and pre chosen fabric fits the bill. winning this would be great ! Gorgeous fabric that looks great in this quilt pattern! These are beautiful prints. Would be great to win. Reminds me of the quilts of yesteryear. Would love to make this pattern. The fabric reminds me of quilts my grandmother made. This fabric is really a winner. Speaks to my heart! It was designed by Nancy. How can you go wrong? This fabric an pattern would just be perfect for a summer quilt. . The blues and reds are some of my very favorites. How I would love to make this one for my mom. I love the fabric and pattern. The pattern looks easy to make. I love the fabric and the pattern. They remind me of Spring. Love this fabric and the pattern! This is a quilt a would enjoy making. LOVE these fabrics!! The country look, the shiplap prints, the colors, everything about them. Oh, how I wish I could win them so I could make a quilt deserving of these fabrics! This new farmhouse fabric line will go nicely with several quilt patterns I’ve been wanting to make…. and the spinning four patch pattern also compliments the soft colors. This is a beautiful pattern and not too difficult! Thank you. I really like this fabric & the colors. Reminds one of by-gone days. The spinning block quilt looks like one I could do & actually get done! Thank you. Really liking all the pink and these are such pretty prints. The pattern looks like a good one to work on at retreat coming up! Beautiful fabric….I am so ready for spring. Need a spring project. Thanks for the pattern and a chance to win the fabric! As a long time learner of Nancy, it would be so great to win this. I would love to win this fabric bundle! Each fabric is so beautiful and creating the Spinning Four Patch would be such a pleasure! Love the fabric and the quilt. I love the fabric and can’t wait to start sewing with it. Thank you for the cute pattern. Love the fabric and what a clever quilt. Love the fabric line. It is so beautiful. The pattern is so unique and looks like fun. Thank you for a chance to win this. I love the fabric that looks like wood grain. It’s nice to see it in softer colors. The center of the blocks are a fun way of making a quilt block not look so everyday. A fabulous vintage fabric collection, the quilt is a true visual of spring. To snuggle under this quilt on a rainy April day would be pure bliss. This is such a pretty collection! I’m already using some of the white for a quilt that I’m working on. Gorgeous fabric. Love the florals. Thank you for the chance to win. Oh, yes with this fabric is spring far behind? I’m not usually a fan of florals, but this Fat Quarter Bundle all looks so great together, and the Shiplap goes so well with it. Just beautiful all the way around. These amazing fabrics and the sweet pattern remind me so much of days gone by, Life was simpler then, although our ancestors worked much harder back then My Mother and Grandmother always wore aprons or house dresses (or even Mumus!) of similar fabrics. They were busy doing household chores and cooking and wore aprons to keep their dresses clean A quilt made of these fabrics would be a treasure and bring back many fond memories! The floral fabric is stunning and the pattern is going to be a fun and relaxing one to make. It reminds me of my days on the farm and I will be making one as soon as I get some of that fabric. Thanks for sharing all the new fabrics and all the patterns with us. You are a God send. Blessings to all of you. Love the farmhouse floral collection so much. Currently working with a strip set on a project for a granddaughter, but would LOVE to win the fat quarter set and this pattern. Sooooo pretty. lovely spring time fabrics and an easy but stunning block, win, win. hope i get lucky. Love the fabrics and pattern. Hope to make it soon. These beautiful fabrics are not available near me so this is a great opportunity to get them for a small quilt for the patio bench or prayer flags in the garden. Thank you for the offer. I love, love this fabric! Thanks for so much inspiration. Love all of Nancy’s fabric. Farmhouse Florals would make a beautiful quilt. Thanks for more inspiration!! These florals remind of Nancy. I am currently making the BOM with the Farmhouse Florals collection and it is so much fun to put together. These colors and designs are just so springy and I would love to have some more of them! Thanks for the chance to win! Love the fabric! Thanks for the pattern. What a lovely way to use a bunch of fat quarters. The pattern shapes are so pleasing. The spring fabric makes me smile. This looks so fun and would Iove to sew it up with my grand daughter! I love this fabric line and it’s so special because it is the last one we will have from Nancy. I plan to make a quilt in remembrance of her. Such a cute pattern. It would be fun to make, with such good information from Nancy. Gorgeous! It makes me think spring and gardening. Love the pattern and the fabrics. Awesome fabric and is showcased with the perfect pattern idea for the collection. Love the thought of creating this with strips. Adorable fabrics! Love the fabrics and would also love to win. I love the old-fashioned country look of this fabric. It reminds me of my grandparents farm and the quilt pattern is stunning but not difficult. Thank you! I would love to make this quilt! The fabrics are so pretty! The fabric is so pretty. Love the quilt. What a nice variety of colors and prints! The selection does remind me of the farm. Good luck everyone! I absolutely LOVE this fabric!!!!!! A beautiful quilt that is welcoming spring down on the farm. Love the fabric collection. Looks like an easy pattern to get my granddaughter into quilting. Looking at this takes me back to the farm and the days I spent with my Grandma and Grandpa feeding the chickens and trying to gather eggs when the mother hens did NOT want me to!!. At twilight listening to my Grandpa calling the cows to come home for milking. These prints remind me of the flour sacks they used for so many things…………wonderful memories these colorful fabrics evoke! Currently working on 2018 BOM with Farmhouse Floral Fabrics. How fun to “win” the fabric for a second quilt. What a pretty quilt for the “young at heart”. The fabrics are so refreshing for Spring. So many pretty florals!! Would love to win these! The Spring is surely coming soon! I spent summertime on my Grandparent’s farm, what a wonderful time with them and cousins. The fabric takes me right back there. Love Nancy’s new line of fabrics! Love the wood looking fabric, could be used for many different quilts and craft items. I just love this collection – it brings back memories of my grandmother sewing on her treadle machine and my mother making clothes and household items on her Singer. Memories are as much a part of sewing as the projects itself! What fun fabric bundle. Perfect for this pretty pattern. A pattern that looks harder than it is. And with the beautiful florals, Nancy has another winner! What fun it would be if I won! This is gorgeous fabric and a great pattern used to show case it. Thanks for a great giveaway. So fun to see a new version of a 4 patch!! I adore the farmhouse fabric collection and the spinning four patch is so charming! I’d love to give it a try. The fabrics are so cute. Bright and cheery. The pattern and fabrics would make an eye-catching quilt. this pattern would make a great memory quilt. This is an interesting pattern and I would love to do it in the farmhouse colors. Love the fabric and pattern, thanks! I fell in love with this fabric the first time I saw it—it is absolutely beautiful! These are such beautiful fabrics. Love the pattern, spinning four patch. Pretty fabric for a spring quilt. Would like to make this one and winning would be a great surprise.